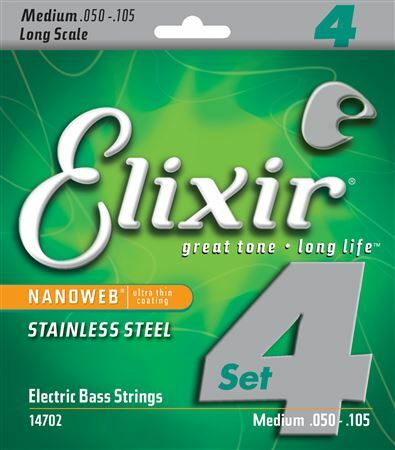 Shop Elixir 14702 Nanoweb Electric Bass Guitar Strings from AMS and enjoy Fast & Free Shipping. 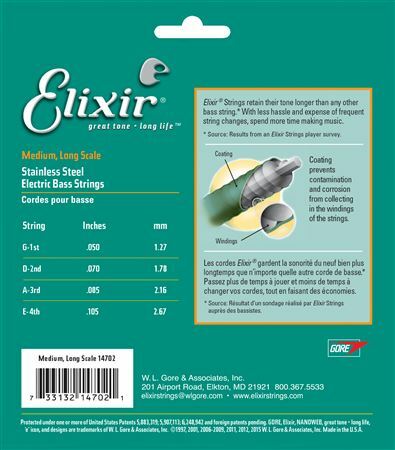 Elixir Strings is the only coated string brand to protect the entire string with an ultra-thin coating, keeping gunk out of the gaps between the windings. 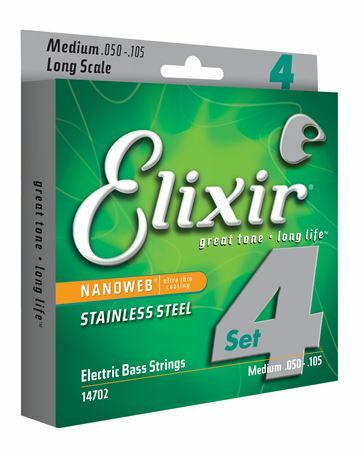 With consistent performance from gig-to-gig, Elixir Stainless Steel Bass Strings remove the hassle and expense of frequent string changes.